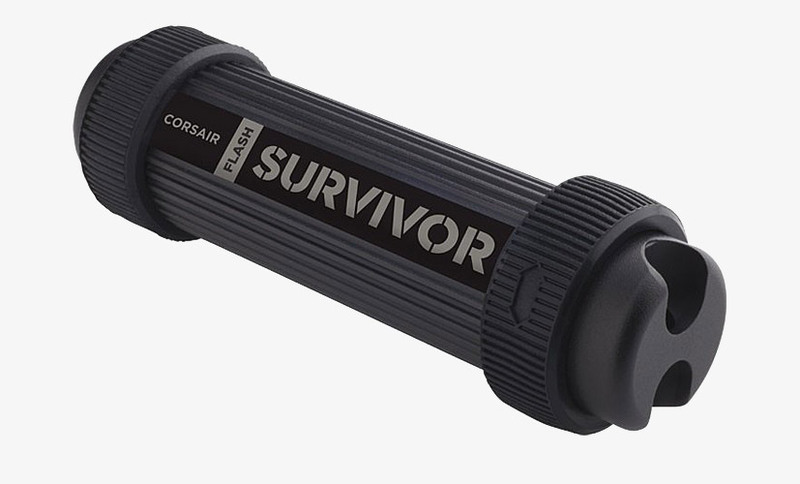 These Corsair Flash Survivor Stealth drives, available in five capacities, have a rugged, two part, anodized aircraft-grade aluminium construction. The outer sleeve unscrews from the main body to reveal a USB 3.0 Type A connector, LED indicator, and integrated keyring loop hole. When mated, an EPDM seal provides waterproof protection up to 200 metres. Two molded shock-dampening collars provide vibration-resistance and shock resistance up to 40G. They are compatible with Microsoft Windows, Mac OS X or Linux computers.